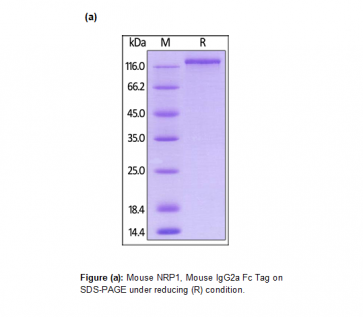 Human CellExp™ CD304 / NRP1 / Neurophilin-1, Fc Tag, mouse recombinant | P1409 | BioVision, Inc. 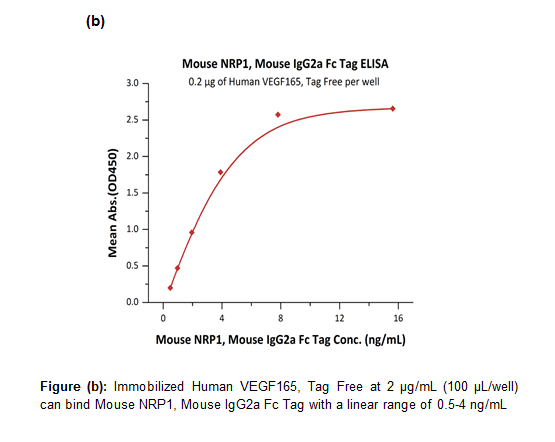 This protein carries a mouse IgG2a Fc tag at the C-terminus. The protein has a calculated MW of 120.5 kDa. The protein migrates as 125 kDa under reducing (R) condition (SDS-PAGE) due to glycosylation.